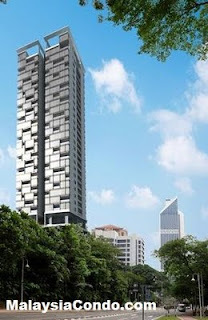 St John Woods Residence is a low density luxury condominium located at Persiaran Raja Chulan in Kuala Lumpur. St John Woods Residence consists of two adjoining 33-storey tower with a total of 48 luxury condominiums. The condominiums has spacious built-up area ranging from 3,660 sq.ft. to 8,848 sq.ft. There are only one unit in each floor and each unit comes with 3 car parking spaces. Built-up Area : 3,660 - 8,848 sq.ft.